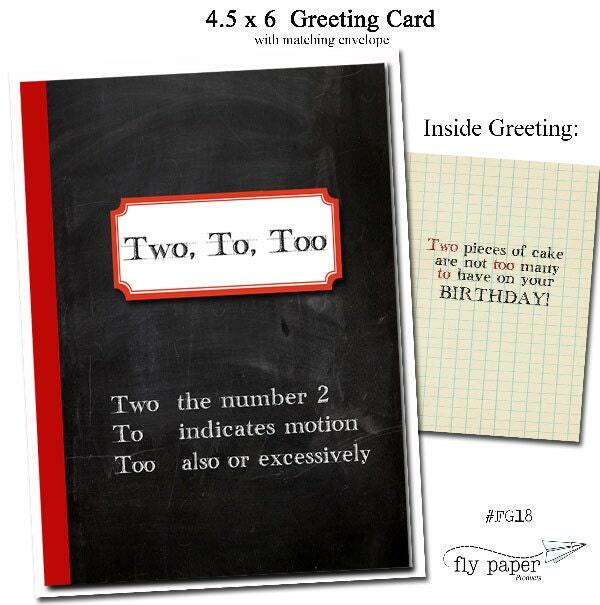 Two, To, Too.. Grammar themed Birthday card. 'Grammar and Geek' Series greeting cards measure 4.5" x 6". Each card has a vintage nostalgic grammar or mathematic theme on the outside and a special greeting with both text and graphic imagery on the inside. The cards are printed on heavy weight paper and are packaged in clear cellophane with a color coordinated envelope. Minimum 6 per style for wholesale customers. 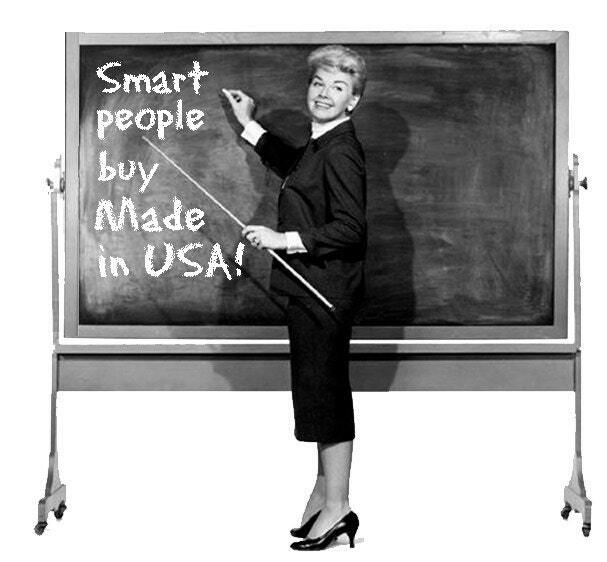 All of our products are made with pride in Ann Arbor, Michigan.